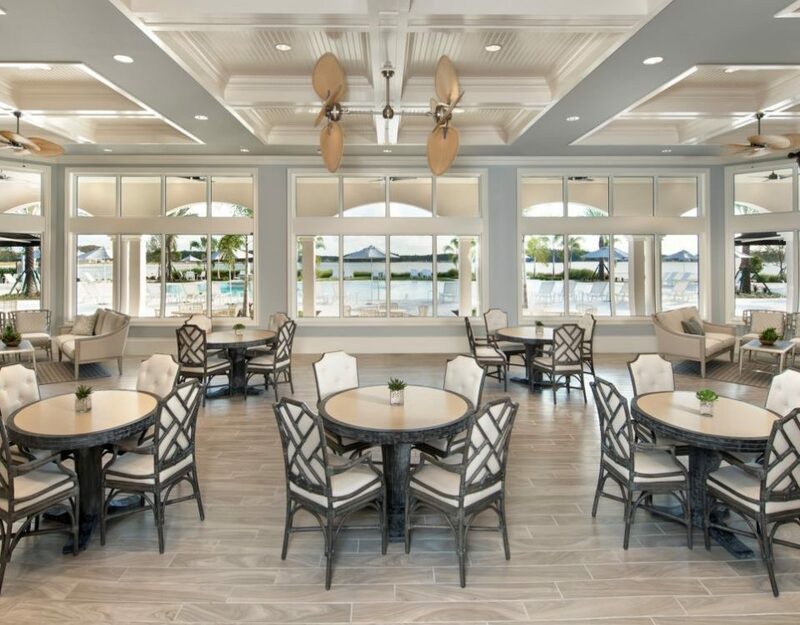 ESTERO — The first residents of The Place at Corkscrew are moving into one of Southwest Florida’s largest new communities this month. In a place where just a couple of years ago cattle roamed and vegetables were farmed is a new development spanning 1,360 acres that will one day be home to 1,325 single-family homes. One of the unique features is a trolley service that will run throughout the community shuttling people to the amenity areas. “That is one of the items that sets us apart from other communities,” Cameratta said. Another is the amenity area that has special items for children, young adults and seniors. There is a 12,000-square-foot pool with a 100-foot long water slide. Nearby is a splash pad, a beach and sand volleyball court. On the other side is the fitness center, restaurant, café, shuffleboard, fire pit, and a wine and martini bar. Cameratta said it was planned to have amenities for all ages yet in separate spaces. “We were very, very careful in our planning to make sure the amenities were designed to accommodate a variety of demographics to buy in the community,” he said. The amenity area will also have a marketplace where people can purchase simple grocery items such as milk and bread. The development has an ice cream shop, kids’ club, playground, basketball courts, bocce ball, aerobics studio, massage therapy rooms, and a dog park. There are four pickleball courts, five Har-Tru tennis courts and a practice tennis court with a ball machine that spews out balls and also picks them up. Lennar and Pulte are the exclusive builders in this community that is touted as having some of the most modern technology. Lennar now has four models open and will have 15 floor plans with sizes ranging from 1,667 square feet to 3,867 square feet priced from the high $200,000s to the high $500,000s. Pulte has three models and 15 floor plans ranging from 1,650 square feet to 4,800 square feet. Prices range from the $270,000s to over $500,000. Lennar is introducing new modern features for the first time at The Place in Estero. All the houses are Wi-Fi certified. When someone rings the doorbell, the homeowner can see who it is from their smartphone or tablet. They can even open the door from their devices. “This is the first community we launched with it,” said Christina Traver, vice president of marketing. Homes have heat mapping so there are no dead spots and Wi-Fi is strong everywhere in the house. An Amazon Echo is included with every home. It will do basic tasks, but extras can be added to the Echo. “Alexa turn on good morning,” said Geoff Gaudet, a new home consultant for Lennar. Immediately the lights come on, the shades go up and the music comes on. “Alexa turn on good night,” he said a bit later. The shades come down and the lights go out. 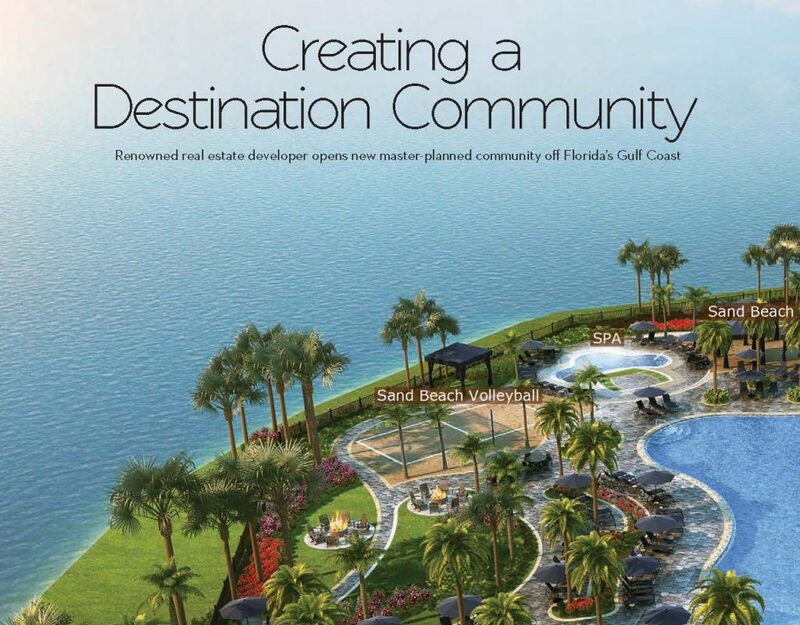 The models are not for sale, but Lennar is building 20 spec homes. “We will have plenty of homes ready for people this season,” said Gaudet. Patti and Sam Tornabene will be one of the first to move in when they move into their Summerville II Lennar home at The Place at Corkscrew later this month. The couple had just started thinking about buying a new place with a three-car garage when they went to an open house at The Place at Corkscrew. Carson and Cassie Baird are also looking forward to their new home. 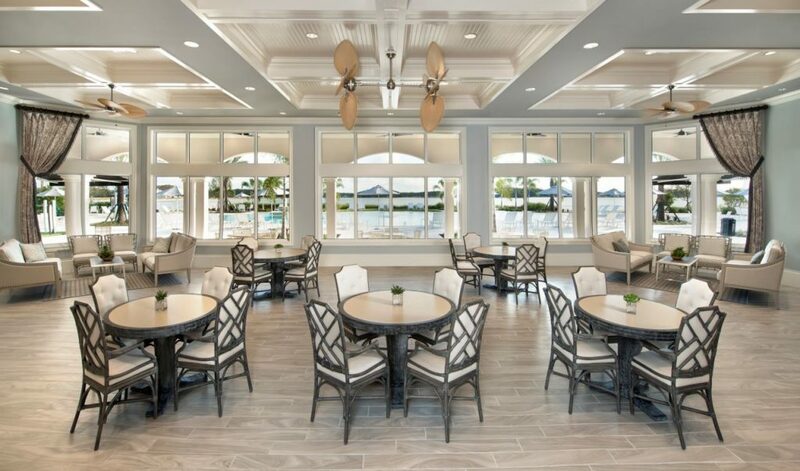 The Bairds, who are also moving into a Summerville II design, say they are looking forward to the restaurant, gym, pool and the resort-style living. Gaudet said the Summerville II and Trevi are the most popular Lennar floor plans. “They are open concept and single story,” he said when asked why they are the most purchased. Lennar also has two-story homes with lofts, bonus rooms and other spaces. Gaudet said there is something for everyone with the floor plans and the community amenities. “The amenities — that is the draw of this community,” Gaudet said. “The Place — This is the place everyone wants to be,” Meyers added. Many homes are planned for The Place at Corkscrew, but so is environmental preservation and restoration. Over 750 acres of the 1,360-acre property will be restored into wetlands and uplands and placed into recorded conservation easements. About 99,500 trees and more than 1.7 million ground cover plants are being installed in the restoration areas.